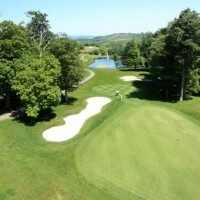 If you are a golf fan, this is definitely for you - around of golf at a quality golf course almost anywhere in the UK. But that's not all, we can arrange lessons for those starting out, arrange equipment hire, plus accommodation if needed. If you are a golf fan, this is definitely for you - around of golf at a quality golf course almost anywhere in the UK. But that's not all, we can arrange lessons for those starting out in the sport, equipment hire if you don't fancy lugging yours across the country and packages which include accommodation if needed. We can arrange a round of golf at pretty much any golf club, in the UK from a short 9 hole round, to a multi day unlimited tee time reservation. And if you want a bit of variety or a longer stay, we can arrange other complimentary activities, night time events and transport.